Spend the night in a ryokan (traditional Japanese inn), sleeping on futons and tatami mats, and padding through well-worn wooden halls to the bathhouse. Chant with monks or learn how to whisk bitter matcha (powdered green tea) into a froth. From the splendor of a Kyoto geisha dance to the spare beauty of a Zen rock garden, Japan has the power to enthrall even the most jaded traveler. 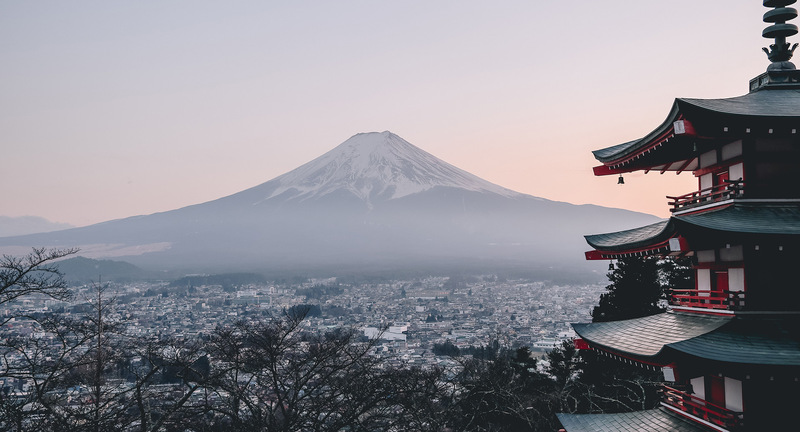 And it doesn’t end there, with the cherry blossoms blooming in Spring, and premier ski resorts during the winter, Japan is a special destination that has something to offer year-round. There is an abundance of things to do and see in Japan, for even the most seasoned travelers. With over one thousand temples and gardens to choose from in Kyoto, you will be spoiled with choices and can take you time finding one that suits your taste. Japan is a food lover's paradise and the cuisine is incredibly varied, ranging from simple soba (a simple buckwheat noodle dish) to a multi-course kaiseki-ryōri (a traditional multi-course dinner). If you are visiting during the Spring, you may get a chance to see the legendary Japanese Cherry Blossoms. The trees start blooming as early as late March and continue up until the middle of April. During this time, the calm atmosphere is shattered by hordes of drunken revelers having hanami (cherry-blossom viewing) parties under the trees. For a Japanese skiing vacation, head over to the island of Hokkaidō, where you will find the unquestionable prince of powder, Niseko. There are four interconnected ski resorts offering more than 800 skiable hectares along the eastern side of the mountain, Niseko Annupuri. Soft and light powdery snowfall, averaging more than 15 meters annually make this an extremely popular destination for international skiers. It all depends on what you want to see and do. High Season: April–May, and August. Weather in April and May is generally fantastic; August is hot and humid but the season for summer festivals. Accommodations are pricey and hard to find during cherry-blossom season (late March to early April), Golden Week (early May), and O-Bon (mid-August). Shoulder: June–July, and September–December. June and July fall in the rainy season (except Hokkaidō), and typhoons roll through in September. Prices and crowds increase in resort areas during autumn foliage season (November). Low Season: January–March. Cold days and snowy mountains make this peak ski season, but affordable and uncrowded elsewhere. Many businesses close over the New Year period (end December to early January). Traveling from the U.S., you will be automatically issued a tanki-taizai (temporary visitor visa) on arrival, which is generally valid for stays of up to 90 days. Japanese law also requires that visitors entering on a temporary visitor visa also possess a return ticket or evidence of purchasing one prior to entry. For more information on entry and exit formalities and customs, visit www.customs.go.jp. Greetings: Japanese typically greet each other with a slight bow, but may greet foreigners with a handshake; hugging and cheek kissing is considered alarming. Queueing: the Japanese are famous queuers, forming neat lines in front of subway doors, ramen shops, etc. Eating & Drinking: eating and drinking on streets and subway cars is generally frowned upon; beverages in resealable containers are an exception. Shoes: many lodgings and restaurants (and even some museums) request you leave your shoes at the door. Just take a quick look around – for a sign or slippers in the foyer – to see if this rule applies. Note: never wear shoes on tatami mats. Religious Sites: there is no dress code for visiting a shrine or temple but it's polite to keep your voice down. The Ritz-Carlton, Kyoto pays tribute to the city's rich cultural heritage, while maintaining a level of luxury and service befitting a 5-star hotel. Japan’s spirit is strong, warm, and welcoming. The country has something to offer for all travelers: peaceful strolls through Zen gardens and temples in Kyoto, bustling city life in Tokyo, and internationally-acclaimed skiing in Niseko. As with any vacation, the most important thing is to explore somewhere new, experience new things, and enjoy yourself. This is the final part of our 5-part 2018 Dream Vacations series. Click here to view the whole series.